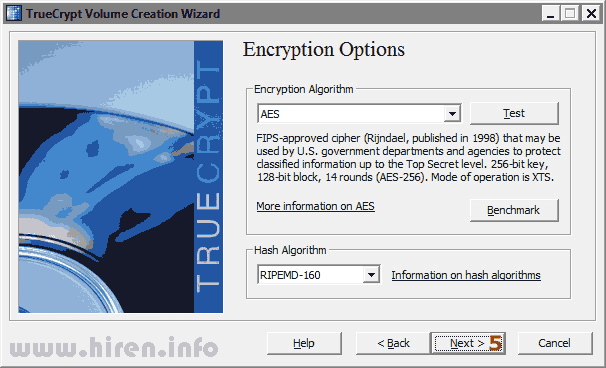 It is very easy to encrypt your files and folders using a free program and to keep your data secure and safe on USB Pen Drive. You can also open this on any computer running Windows 2000/XP/Vista/7 and you don't even have to install anything on the computer. You can download the example from this page. If you find it easy to use then you can create a custom data container to suite your needs. Here is the complete package which contains everything (very small and portable) to start. Download it and extract it on a Hard drive / USB pen drive. Now open the file called "Open.cmd" and enter the password "test1". It should automatically open a new drive in your computer. 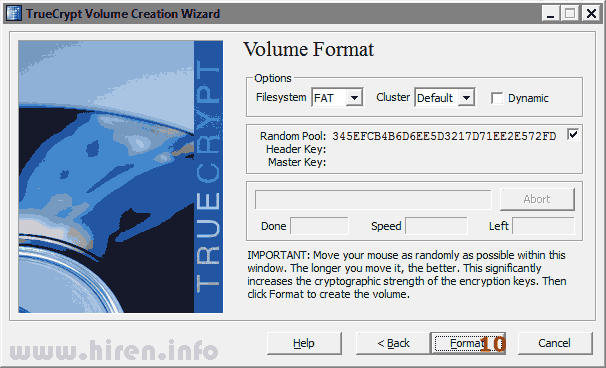 You can store anything on that drive and and it will store it as encrypted data on the file "sample.tc". When you have finished using that drive open the file called "Close.cmd" to dismount the drive. 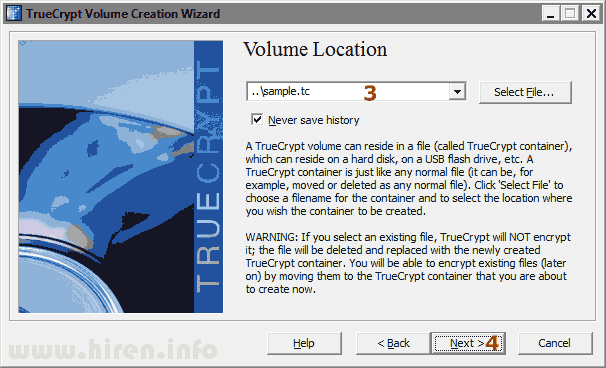 If you find this suitable for you and wish to create bigger container (sample.tc) file then here is how to do that. 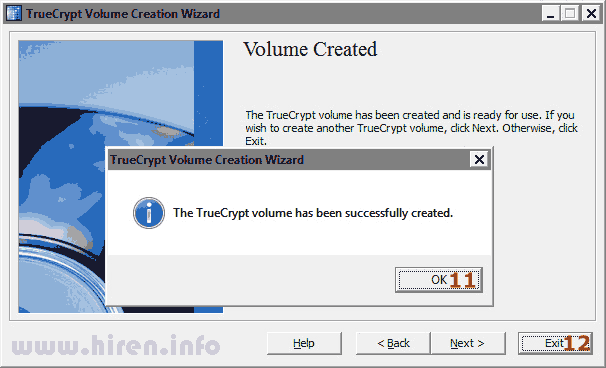 Open the folder "TrueCrypt" and find the file "TrueCrypt Format.exe" and run it. Now follow the screenshots and in few clicks you should be able to create a new data container. 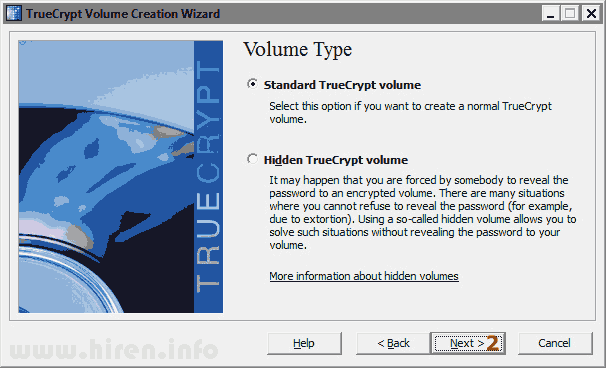 TrueCrypt is an open-source encryption tool for encrypting folders or entire disk/partitions. 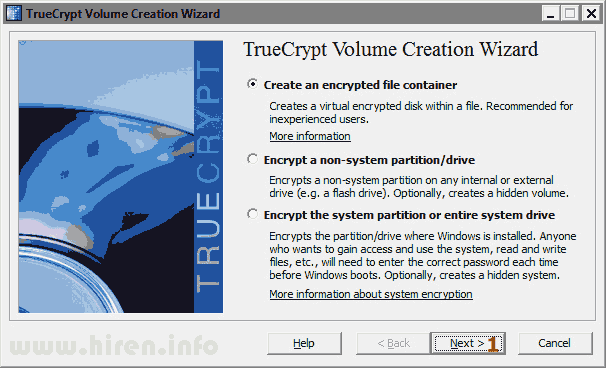 It creates virtual encrypted volumes that can be mounted as drives. 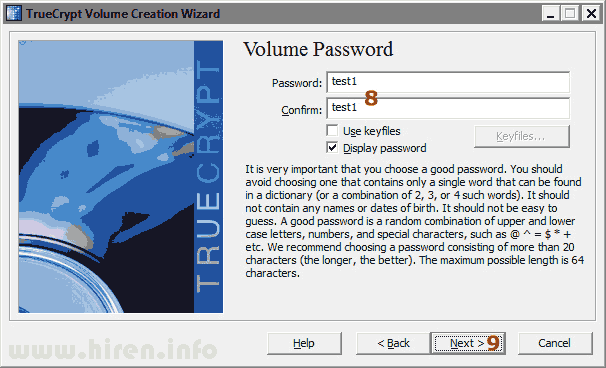 You can use passwords/key-files to access your encrypted volumes. 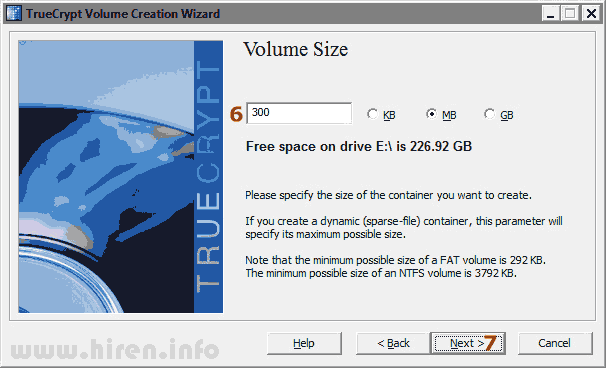 If you want to store files larger then 2GB (such as DVD/.iso files) then you have to choose NTFS (on Screenshot 10), FAT filesystem is limited to maximum 2GB per file, mount your encrypted drive and format it by right clicking on it and choose "Format" from your computer. Posted on September 7, 2010 in Security by Hiren. permalink.